Gluten free diets, gluten sensitivities and gluten intolerances are becoming very common. In current times, if you go to the grocery store you can find rows of gluten free items, which was unheard of 10 years ago. Having gluten intolerance is easier when you go out to eat because many restaurants now have gluten free menu options. What is gluten intolerance? Should everyone be eliminating gluten from his or her diet? The quick answer is no. Not everyone needs to eliminate gluten from his or her diets. Gluten is a protein found mostly in foods processed from wheat and related grains including barley or rye. Gluten gives dough its elasticity and helps bread rise. Buddhist monks have been credited to discover gluten. The monks, vegetarians, were trying to find a substitute for meat. They discovered that when putting dough into water, after the starch washed off, all that was left was a meat-like, gummy mass – gluten. Gluten can also be added to foods and isn’t always found in breads only. Many imitation meats resembling chicken, duck, beef, pork and fish can have gluten added to it. Gluten is also found in beer, ice cream, ketchup and soy sauce. Celiac disease is when you have damage to your gastrointestinal villi caused by an autoimmune reaction to gluten in your diet. Celiac disease is diagnosed via blood work or an intestinal biopsy. Celiac disease is a fairly common medical condition. Some people not diagnosed with having Celiac disease still cannot tolerate gluten and this is called gluten sensitivity, gluten intolerant or non-celiac gluten sensitivity. Symptoms of gluten intolerance are similar to that of Celiac disease. This is why it is nearly impossible to tell the difference between gluten intolerance and Celiac disease based on symptoms alone and a medical test must be performed. Symptoms include fatigue, brain fog, attention hyperactivity disorder, attention deficit disorder, gastrointestinal complaints including diarrhea, constipation, gas, bloating and stomach pain, neurologic issues such as dizziness and being off center, joint pain, migraine headaches, eczema, psoriasis, arthritis, tiredness after eating a meal that contains gluten, pre-menstrual syndrome, mood disorders including anxiety, panic attacks and depression. 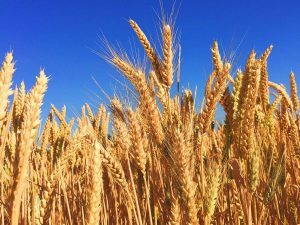 Sometimes gluten sensitivity will result in diagnosis of autoimmune disorders including Hashimoto’s thyroiditis, ulcerative colitis, Lupus, or Scleroderma. Testing for gluten sensitivity can be done through blood work or through an elimination diet. An elimination diet is when the person chooses to eliminate gluten or any food from their diet for a significant amount of time anywhere from 2 weeks to 2 months. Then the person reintroduces the gluten and will assess how they feel. For those whom are gluten sensitive when they eat gluten again, it will trigger symptoms. If you or someone you know is having a problem every time they eat gluten or a gluten containing item please check with your health care practitioner about the next steps to diagnosing gluten sensitivity.